ASHES TO THE VISTULA is a novel of a unique friendship of two orphan boys who forge a relationship in the days preceding World War II. Jakub, the younger, is different, slower than other children his age, but his friend, Filip, vows to protect him, even when the German SS force Jakub to come with them. Filip joins him and they are taken to Auschwitz, where their friendship is subjected to many hardships. They endure and survive the death camp, only to face a vengeful Russian army. I finished "Ashes..." last night. It was a very good book, beautiful story. The characters came alive and it was very touching. The poetry in it was beautiful. Human kind seems never to learn from its past but continues to repeat it. The voices that the author has listened to in his heart and spirit are from a time of the world's greatest horror, and they can now feel they have been heard anew. This work brings to our 21st century mind's eye the times before when the world believed all was well and a monster came to us. This work brings that monster to us through a friendship of caring for another less fortunate and the promise made to that person. If one never steps through the gates of the "Camp", this work will take your mind there and leave a mark as that which is still carried by a few on their arms. Every person living today that can read and is willing not to turn away from the voices that call from the "camps" must "hear" their message through the words of "Ashes to the Vistula". The past must never be forgotten. Through the lives of the two, the lives of six million can be heard. great story great ending a well written story with many subplots that all come together for a powerful ending. Even though the story is deeply emotional the reading experience was very satisfying. Well done! Read the novel in two nights - couldn't put it down. A compelling read! Waiting for your next novel. "Ashes To The Vistula" is a story that must be told to every generation so that it is never forgotten and, more importantly, never repeated. 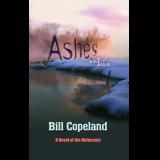 Bill Copeland, a master storyteller, sets the historical background with known characters and places. He then weaves you into the story as a close observer that can smell the fear and feel the joy, danger, and despair of each of the characters. I resented having to put the novel down to take care of some mundane chore. To Bill Copeland I say, "well done!" We look forward to your next novel. A quite incredible debut novel set in the harrowing shadow of Aushwitz. Copeland delivers his masterpiece with feeling and passion and with every page turned a feeling of being dragged kicking and screaming into the depths of despair. The story that unfolds between the two friends is awesome, I sat at times with my mouth wide open and pinched myself again and again reassuring myself it was only fiction. And as I neared the final pages I admit I shed a tear or two. No book has ever made me cry. A first class debut Mr Copeland.